TIGER I E PANZERKAMPFWAGEN VI (Sd.Kfz.181) AUSFUHRUNG E. The Tiger I was an important facet in the German war machine, its offensive and defensive capabilities a major headache for the Allies. ?Late production Tiger Is were manufactured from January 1944, and saw action in Normandy and elsewhere. This kit recreates a late production Tiger I and 4 crew in relaxed pose. 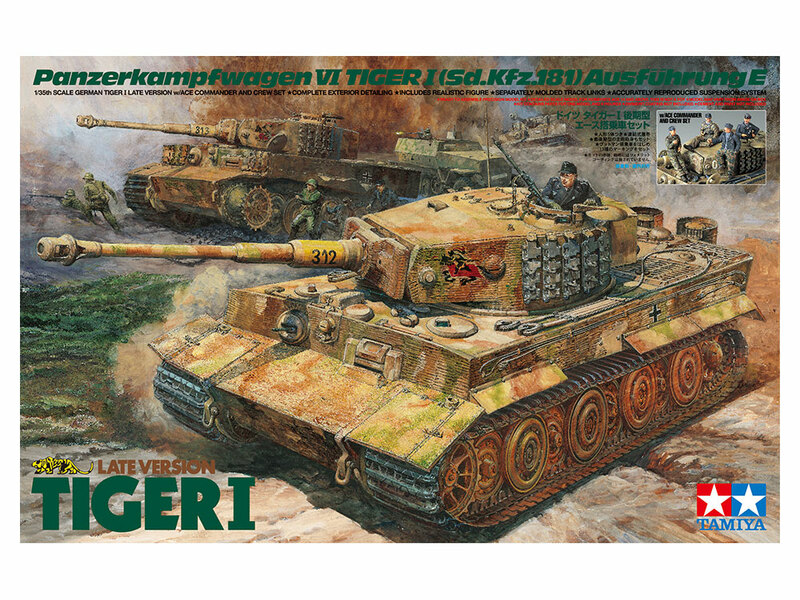 Decals are included for a number of different marking schemes, including one of a Tiger led by the famous commander Wittman.